An adaptation of the anime ‘Attack on Titan’ is in the works by Andy Muschietti. Indeed, the Argentine filmmaker has found a successor to his franchise ‘It’ in the manga series. Created in 2009, ‘Attack on Titan’ is considered as a wildly popular piece of literature in the manga universe. Famous for another book adaptation from Stephen King, Andy Muschietti will be helming the upcoming movie. Taking place in a dystopian world, the storyline will follow a group of friends who join the military. They have to fight and kill Titans, gigantic humanoids who threaten human life. Famous for this work on the ‘Harry Potter’ series, David Heyman is collaborating with Andy Muschietti on ‘Attack on Titan’. Indeed, he is attached to the project as a producer along with Barbara Muschietti and Masi Oka. Furthermore, for having produced the movie ‘Gravity’, he was nominated for an Academy Award for Best Picture. 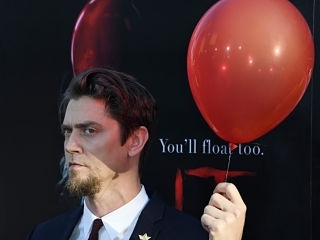 Gaining international recognition following his directing debut ‘Mama’, Andy Muschietti is an acclaimed director. His motion picture ‘It’ became the highest-grossing horror film earning $700 million worldwide. Furthermore, the second chapter will be released on September 6, 2019. No dates have been set forward as to when ‘Attack on Titan’ will start its production. Other Japanese comic book series currently being revisited include ‘Detective Pikachu’ with Ryan Reynolds and ‘Alita: Battle Angel’ by Robert Rodriguez.